DNS servers are one of the most important component of Internet browsing but only few people really understand how it works .DNS stands for Domain Name System. The primary job of a DNS server is to translate the domain names like Facebook.com or Google.com to IP addresses example 192.168.1.1. You need to choose the best DNS servers in-order to get full advantage of Internet connection. A site won’t load or load slowly unless the DNS server has performed its work successfully. DNS benchmark and Namebench are the ones I recommend and it will help you find the best DNS servers for your computer. Both these programs are portable and compatible with Windows, Linux and Mac OS. I prefer Gibson Research corporation’s DNS Benchmark. It performs and complete in depth analysis and comparison of the performance and reliability of DNS servers. There is another program called DNS Jumper , it limited and provides a quick test and it only works on Windows operating system. Here is an example on how to use DNS Benchmark. After a few minutes, the results will be displayed. How do I change DNS address on my computer? Go to control panel -> Network and Internet -> Network and Sharing Center –> Change adapter settings on the left -> Local area connection -> Right click go to properties -> select internet protocol version 4 and click on properties –> now change the DNS address. 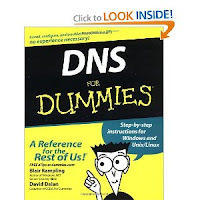 If you are interested in learning more about DNS. Please read this book and its has tons of useful information. Do you know any alternatives than the two mentioned above? If you know any other method using which will help find the best DNS servers, please comment below or email me. I will make sure, it gets updated and you will surely receive credit for the same. I just want to mention I’m newbie to blogs and absolutely loved your web blog. Probably I’m going to bookmark your blog . You absolutely have awesome well written articles. Cheers for revealing your website. Thanks for the suggestion to the best dns server for my computer.